When you give your Social Security number out on applications, you are giving creditors permission to look at your credit report. However, you have to watch to see if unauthorized users are pulling your credit. If a creditor pulls your report without your authorization, it can lower your credit score. 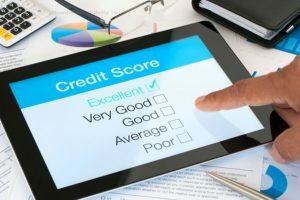 If this happens, you want to immediately dispute the unauthorized inquiry with the particular credit bureau. Keep your address updated with your creditorsIf you physically move or change your email address, make sure you notify all your creditors. If you don’t and you miss your statement, late fees will be added, which could cause you to go over your limit. If you fail to make the payment within 30 days, the creditor may report you to the credit bureaus and your score will take a hit. Make a list of all your debts and your due dates. Then type the due dates into your computer and cell phone calendars with active reminders. Also set up your accounts to have your creditors automatically withdraw money from your checking account. Using the various methods mentioned above will help you pay your debts on time. Making each payment on time raises your credit score and keeps you in good standing with your creditors. Try to pay your credit card balances off each month. If you can’t, pay off your high interest credit cards first. Second, pay off your lower credit limit cards. Finding money to help you pay down your debt may be difficult, but there are numerous ways to raise extra cash. For instance, have a tag sale, sell items on eBay, work another job, pull from your savings, borrow from friends and cut your expenses.